This Tallyn's Reach gem is ready for new owners. 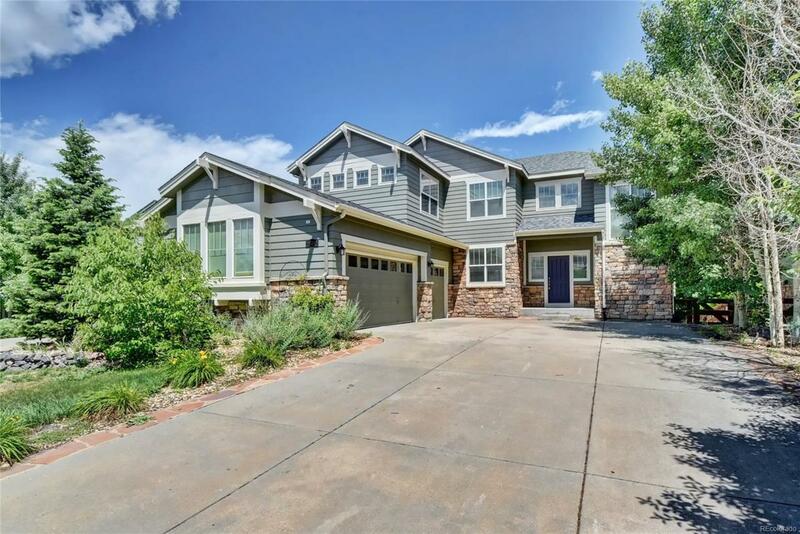 Awesome location near Buckley Air Force Base, University of Colorado medical complex, Denver International Airport, I-70, E-470, Southlands Mall. Newer roof and exterior paint (2016). Beautiful designer paint throughout. Upper floor features hand-scraped mahogany wood floors, large master suite with retreat area and beautiful 5-piece bath. Three bedrooms and a full bath complete the upper level. Gourmet kitchen with upgraded cabinets, granite counter tops, and stainless steel appliances, including double ovens, microwave, stove, dishwasher and French door refrigerator. Granite counter tops in all bathrooms. Ceiling fans in all bedrooms and the family room. Finished basement features large entertainment area, full bathroom and large bedroom. Bar fridge. Main floor laundry room with cabinets; washer and dryer included. Trex deck is perfect for outdoor entertaining. Fully functional jacuzzi and trampoline included. Over-sized 3-car garage. Offered by Blue Olive Properties.